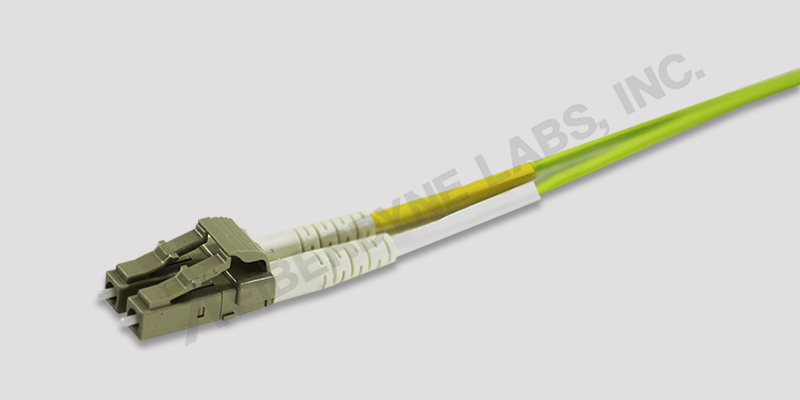 Short Wavelength Divison Multiplexing (SWDM) is a wavelength divison multiplexing (WDM) technology that utilizes four wavelengths across the 850 to 940nm range. The new 40G-SWDM4 and 100G-SWDM4 Ethernet standards operate over a pair of multimode fibers, while utilizing four wavelengths; 850nm, 880nm, 910nm and 940 nm to achieve 40G or 100G transmission rates. 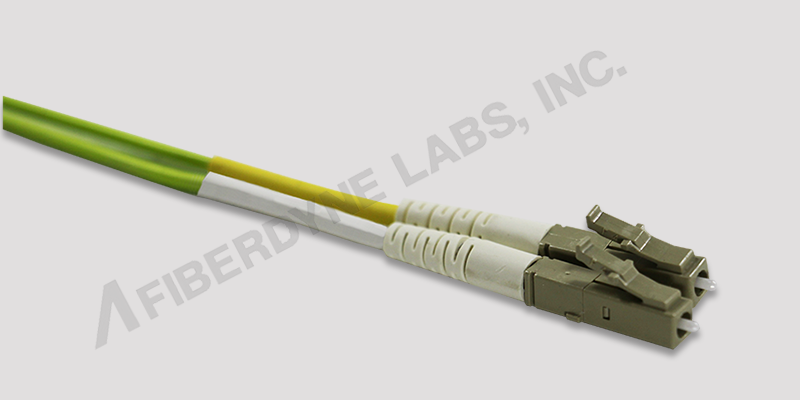 Earlier standards required an MPO connector and 8 or 10 fibers to accomplish the same transmission rates. 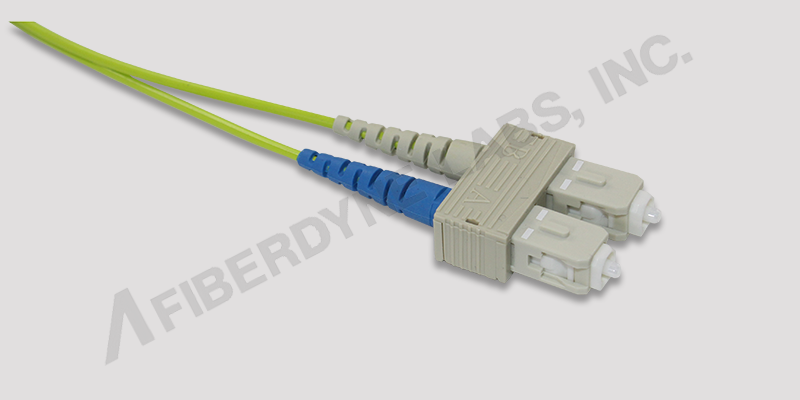 While SWDM will operate over OM3, OM4 or OM5 fiber, OM5 is all about extending the distance. 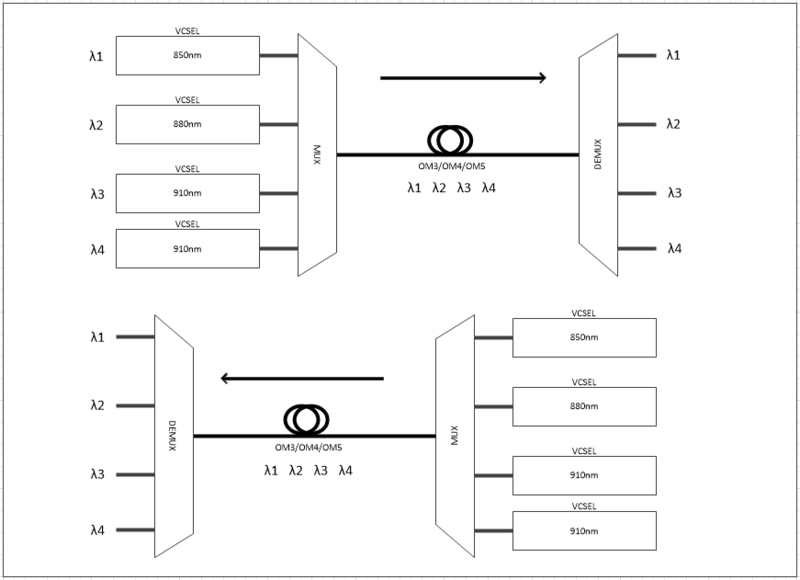 See Table 1 for a comparison of network distances versus fiber type. 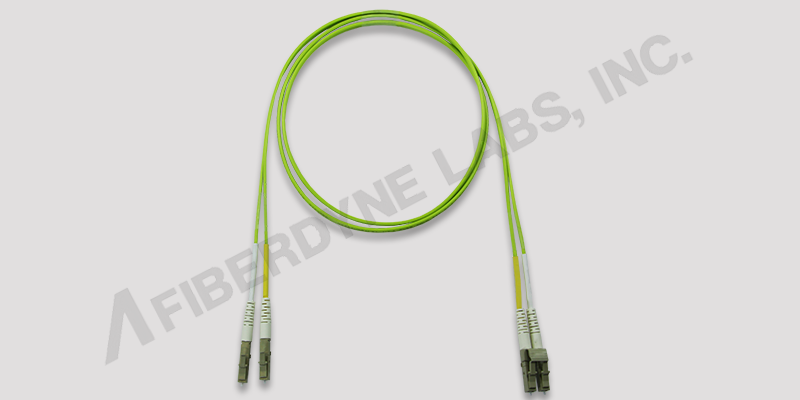 The TIA has specified lime green as the official cable jacket color for OM5. What are the expected SWDM data rates and distances? The 40/100GbE expected maximum operational distances are given in the table below. 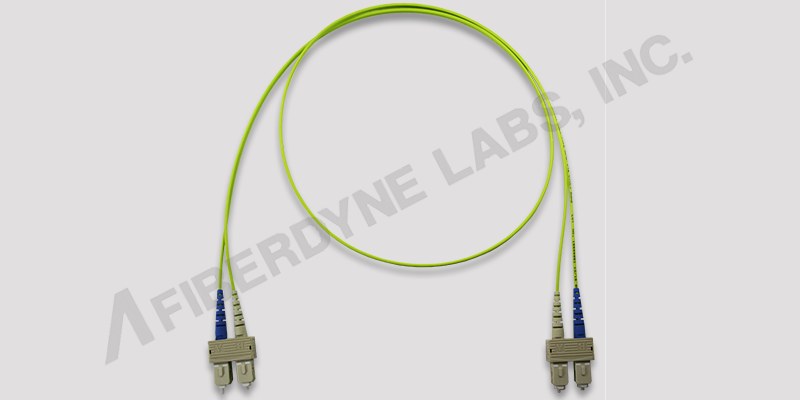 Fiberdyne Labs manufactures Singlemode & Multimode Assemblies in a variety of configurations.